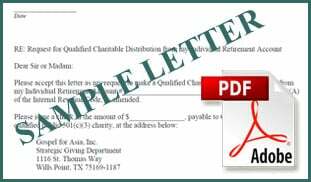 Download this sample letter in PDF format. This letter and the accompanying guidelines are not intended, nor should they be used as legal, accounting or other professional advice. It is always a good idea to seek legal and tax advice from your professional advisor(s).